The grass is literally greener on the other side of geopolitical fence. Take a drive along Santa Monica Boulevard and cross into Beverly Hills and you're immediately greeted with a tree-lined street and this city-wide park. 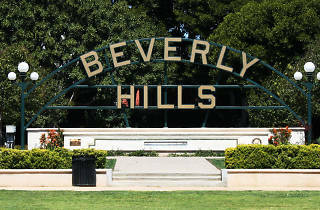 Beverly Gardens stretches 1.9 miles, from the stately Doheney Fountain to the illuminated Electric Fountain, with a narrow strip of lawn in between. 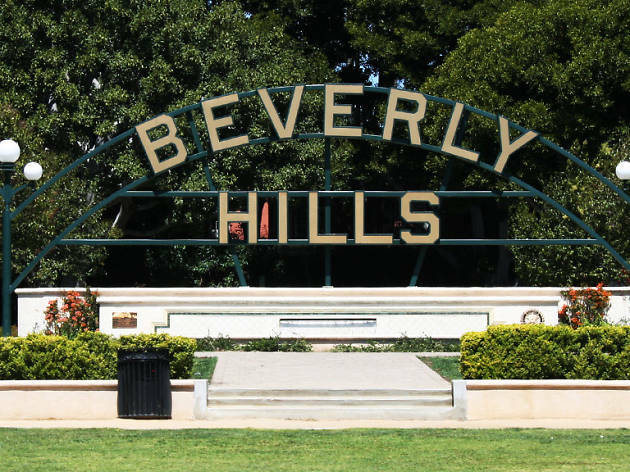 The park hosts the Beverly Hills Art Show during third weekend in May and October, but its real claim to fame is the famous Beverly Hills Sign, a watter encompassed photo op between Canon Drive and Beverly Drive.